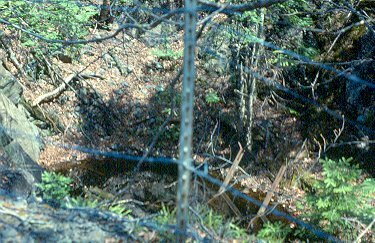 Some old mine shafts have been "secured" by barbed wire on wooden posts. Many times these posts have rotted away and the wire has rusted away. Sometimes the site has been re-secured but many times the sites are forgotten. Other times old shafts have been covered over by boards which have become rotten over the years. 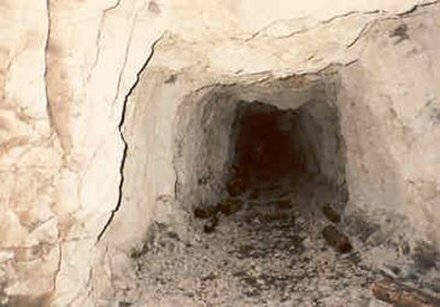 Considering that many of these mines closed prior to 1900 it is reasonable to assume that many mines never had their shafts secured in any long-term manner when the mines were abandoned. 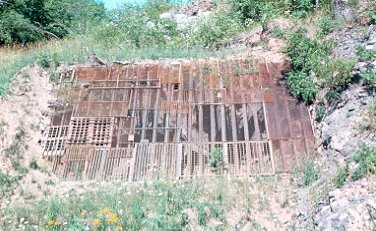 An old caved-in Michigan copper mine shaft that has been secured with new steel posts and barbed wire. 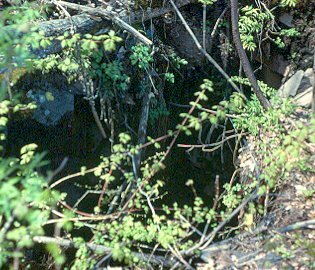 An old open Michigan copper mine shaft that has not been secured in any manner and that poses a threat to the unwary. 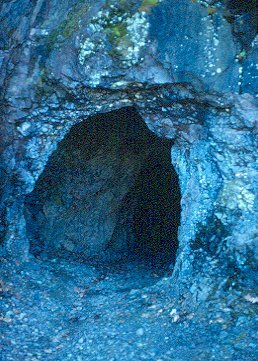 A well secured mine shaft at the Minesota Mine, Ontonagon County, Michigan. Sections of steel rails have been fastened in place and covered with steel grating, it isn't pretty but it is effective. 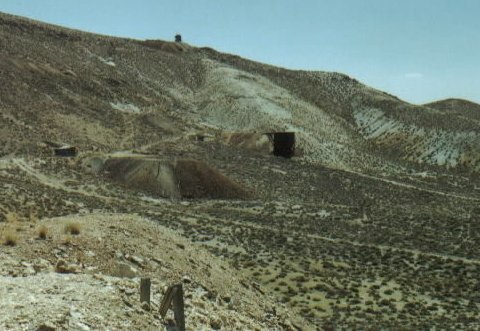 There is no problem with locating the site of old mines when either remnants of structures remain or when entire mine structures remain. 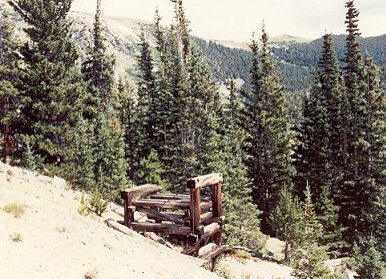 Other indicators of old mine sites are poor rock or tailing piles, also know as mine dumps, some of which can be quite extensive. 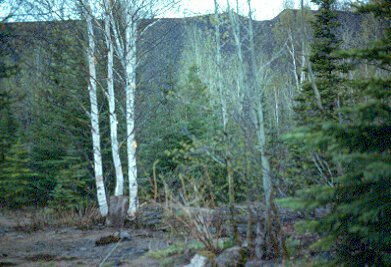 Some times they are barren of vegetation and in other cases are so old that they are completely overgrown and difficult to locate. 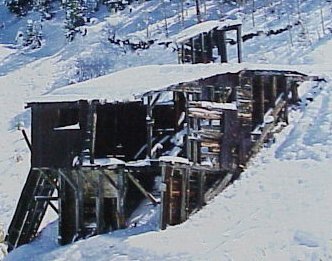 Surviving structures at the Ahmeek Mine, Ahmeek, Michigan. 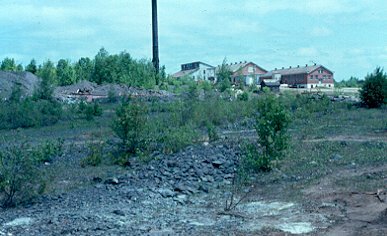 Remains of poor rock piles to the left. Remaining house at site of the Phoenix Mine, Phoenix, Michigan. 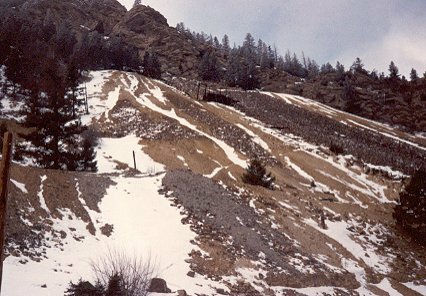 Arrow indicates the location of the poor rock pile from the West Vein Mine which is largely overgrown. 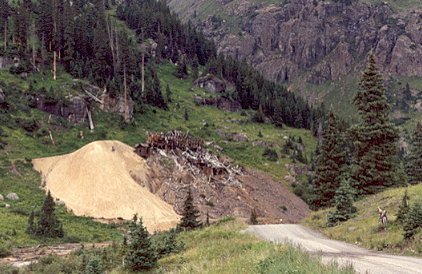 Something that can be collected from the mine dumps are specimens of the mineral product that the mine produced as well as associated minerals. 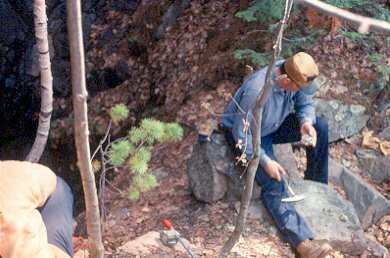 In the case of the Michigan copper mines you can find native copper and silver, as well as datolite, epidote, calcite, analcite, chlorastrolite, and many other minerals. 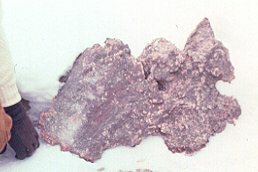 Copper specimens are found much more readily and in greater quantity with the use of a metal detector. 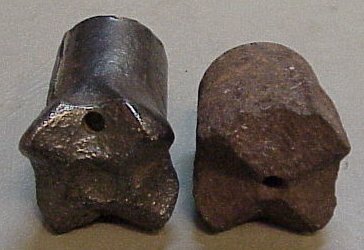 Copper can be found in sizes from the head of a pin to many pounds, but small pieces with more rock than copper is the rule. 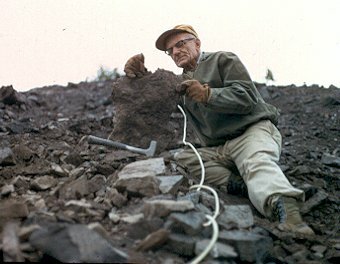 The largest specimen of solid copper, with no rock, that we have found is a piece of glacial float copper found with a metal detector that weighs 300+ lbs. Float copper pieces weighing multiple tons have been uncovered over the years. Sometimes you get lucky and find a good-sized chunk of copper that the miners missed. This piece weighed more than 100 lbs. 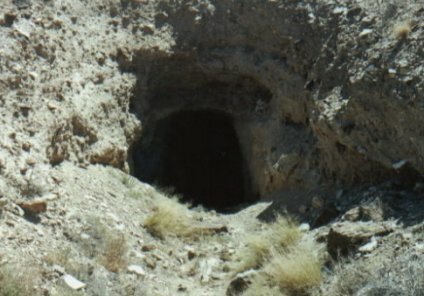 when found on the Phoenix Mine dump. 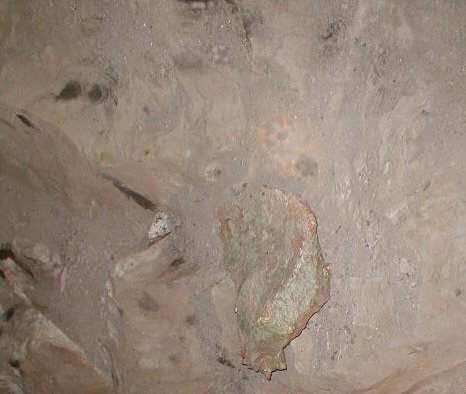 When finally cleaned the chunk of native copper found on the Phoenix Mine dump weighed in at 98 lbs. 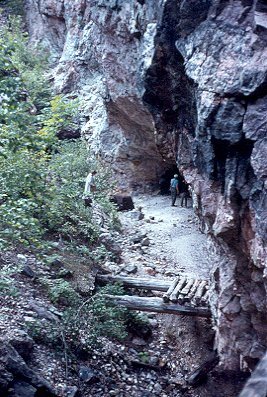 up the side of the mine dump to where we parked our vehicle. 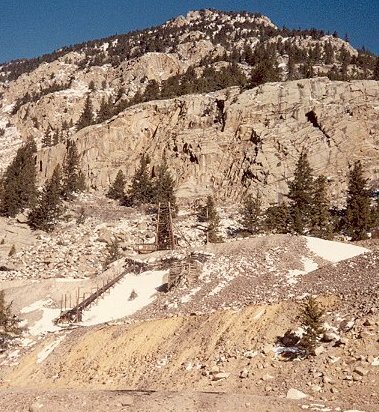 These mine dumps are very steep with loose rock that slides with every step. 1) Never go underground alone. 2) Always let someone who is staying above ground know where you are going and when you plan to return. 3) When you are a beginner go with someone who knows what they are doing to gain some experience before striking out on your own. carry an air monitor that gives constant readings of the oxygen content of the air. 5) Remember that nothing you will see or find underground is worth losing your, or someone else's, life for. 6) Once underground always watch where you step. 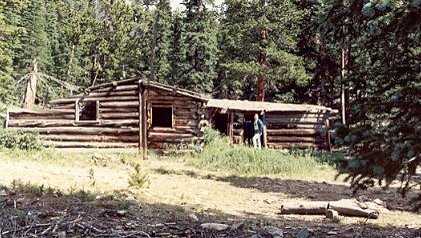 7) Always watch for loose rock and timbers. 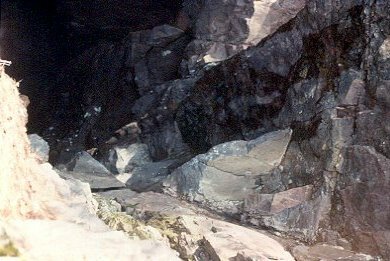 There are essentially three ways that you can enter old mine workings: 1) walk in through a horizontal adit, 2) descend down a sloped or inclined shaft or 3) drop down a vertical shaft with ropes. 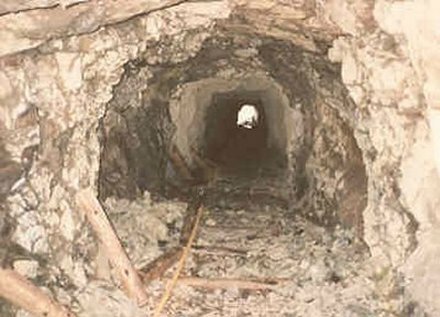 Walking in a horizontal adit is by far the easiest but the least likely to produce any mining artifacts as someone has most likely been there before you unless you are lucky enough to find a mine in a very remote.or inaccessible area. 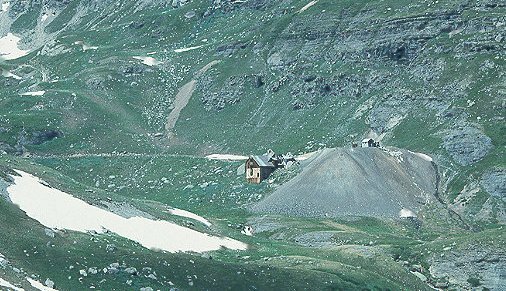 The difficulty of a sloped shaft is generally determined by the degree of slope, the steeper the slope the more difficult and risky the descent and ascent. The vertical shaft is the most risky mine entry. You should be aware of the dangers of a bad collar on the shaft, some shafts just shouldn't be entered, if in doubt don't do it. 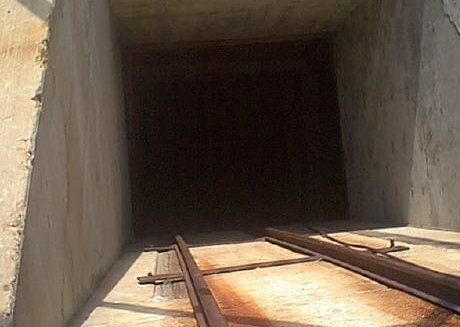 Any time you are in the shaft while descending or ascending you are potentially in the path of any falling object from above. easy to access, after a long hike that is. 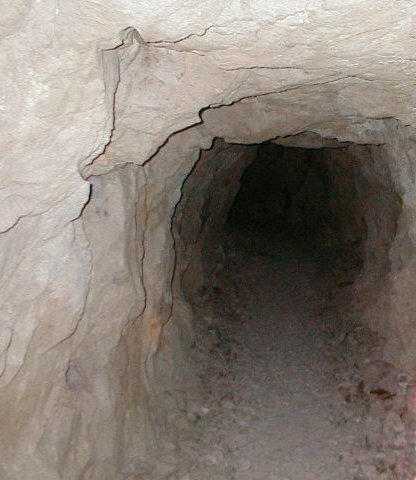 A sloped shaft or inclined shaft at a Michigan copper mine ready for entry. 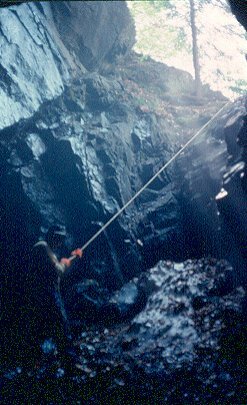 A vertical manway shaft in a Michigan iron mine. 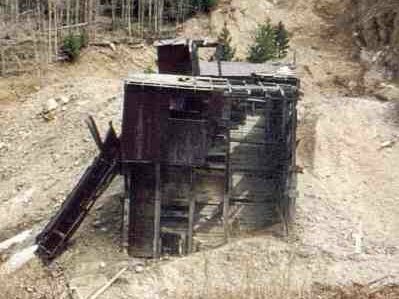 We were able to gain entry and climb the ladder in and out after getting permission from the owner of the company doing demolition of the above ground mine workings, the fact that I have known him for years helped. 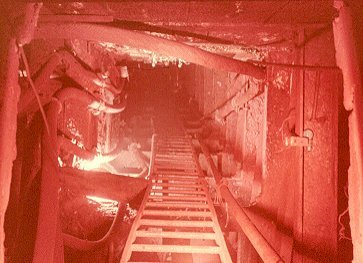 Everything is covered with red iron dust. 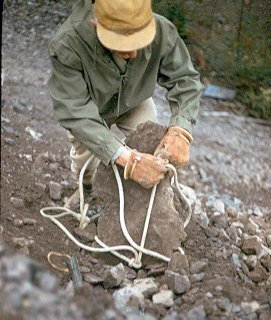 Ron cleaning rock from a native copper and silver specimen, sitting with his back to a vertical shaft, after we had come up. This open shaft is not something you'd want to fall into. 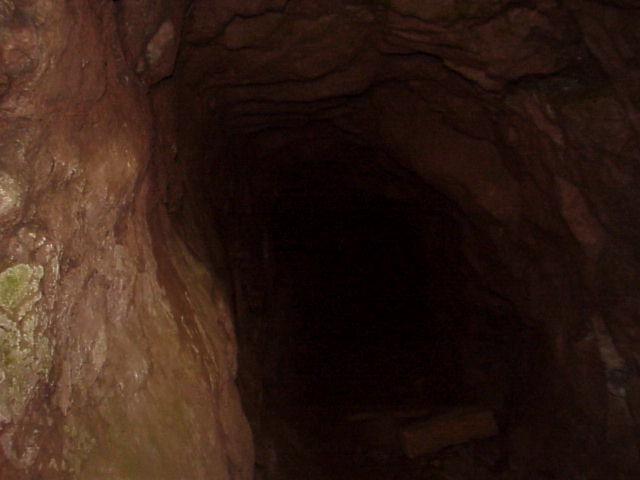 Part way down a dark shaft. Once you reach a level you can take off exploring. Notice the lack of mine rail in this drift. Here the rail has been removed but the remains of the cross-ties are evident. A 12" chunk of native copper sticking out the rock wall, unfortunately there was no way to remove it. Hey, there's light up ahead, we're almost out. 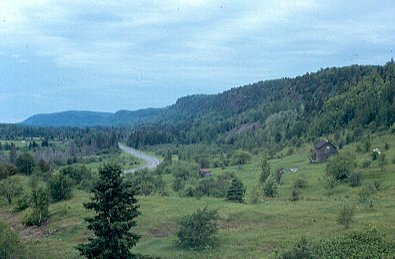 What you are able to find underground is going to depend upon many factors, such as the accessibility of the mine, has it been searched previously, is it a damp Lake Superior mine or a dry desert Southwestern mine, and what was removed when the mine closed. 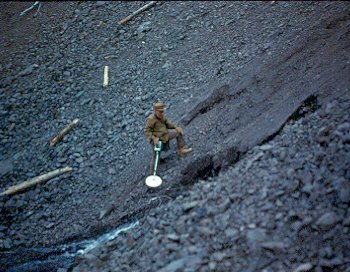 Mines that are not readily accessible and in a remote location are least likely to have been visited by many others. 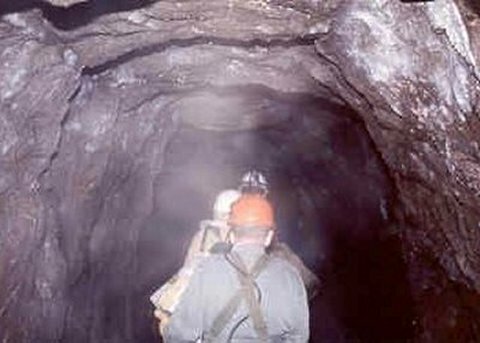 Many mining regions have very damp underground environments that plays havoc with iron and steel, wood, cloth, leather and paper items. 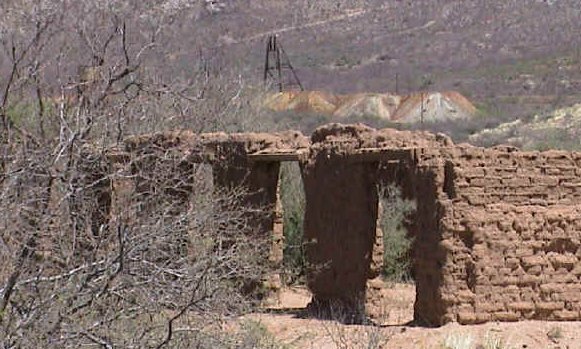 On the other hand, the desert Southwest has many mines with a very dry environment in which 100 year old newspapers can be found that are still able to be read, iron and steel is not heavily rusted, wood, leather and cloth items are well preserved. 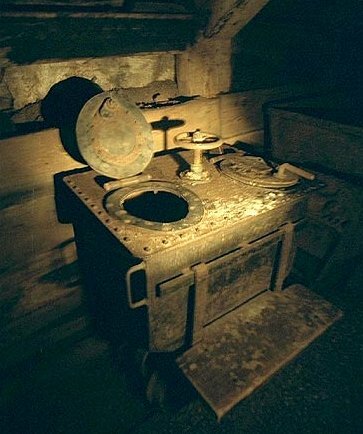 Some mines were stripped of virtually all their equipment and tools when they were abandoned, others were left looking like the miners expected to come back for the next shift. Some of the items sought by collectors are powder and candle boxes, cap tins and fuse wrappers that were left behind as garbage. 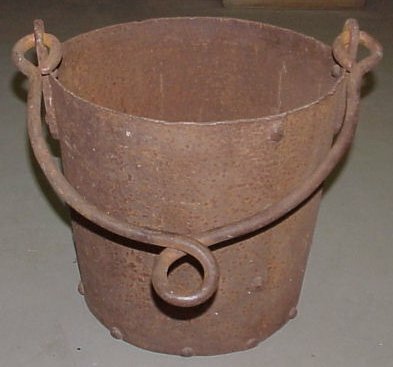 Artifacts found underground in a Michigan copper mine: 1) 8 lb. 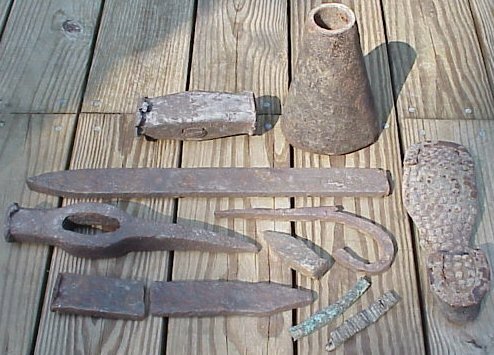 hammer head, 2) chisel used for cutting up large pieces of copper so they could be removed from the mine, 3) hammer/pick head, 4) two pieces of a broken copper chisel like number 2, 5) chisel head, 6) copper chiselings made in the process of cutting up large pieces of copper underground, 7) hand forged iron hanger pulled from a mine timber, 8) the sole of a hob-nail boot, 9) found above ground. Closeup of the sole of a hob-nail boot, the leather upper had long ago rotted away. 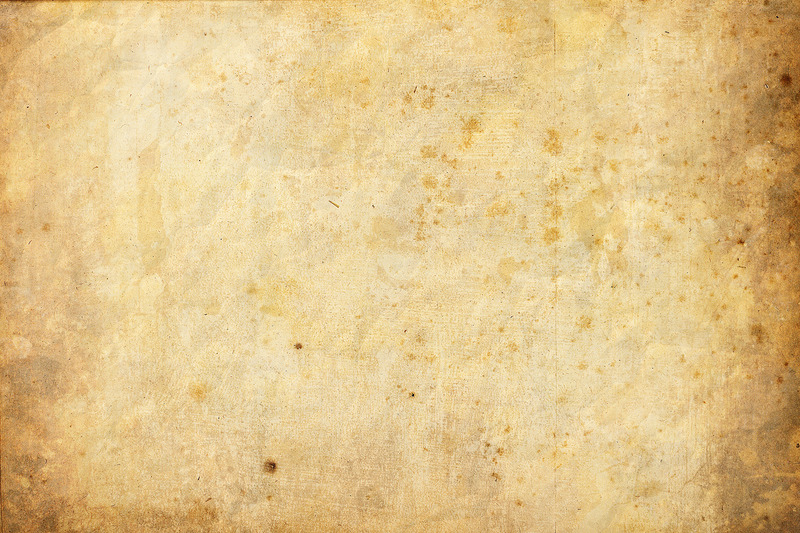 While many artifacts are dirty and rusty when you find them they do not necessarily have to remain that way. The drill bit on the left has been cleaned and the one on the riight is as found. 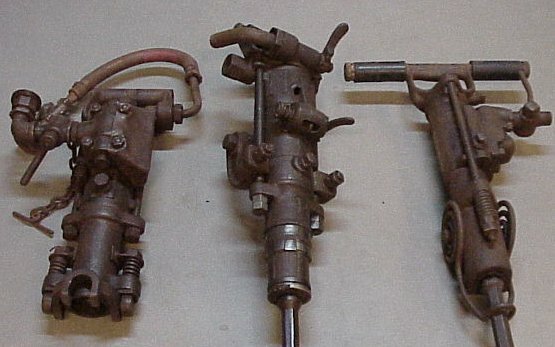 A group of tools found underground in Michigan copper mines that have been prepared for display. 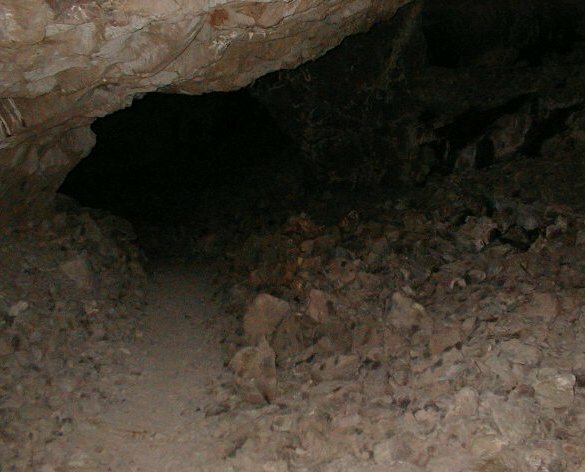 Perhaps this short presentation has enticed you to try exploring old mines and mine sites, perhaps it has not. If you decide to go exploring just remember to do it as safely as possible just as you would when scuba-dving, hang-gliding, sky-diving, snow or water skiing, kayaking, mountain biking and other activities. Happy hunting! anywhere I travel. 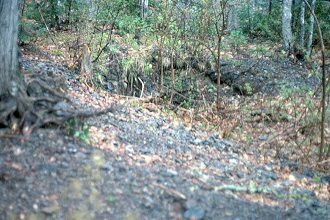 Below are an assortment of photos from some of the old mining sites I have visited, some are scanned 35mm slides so they are not too sharp. 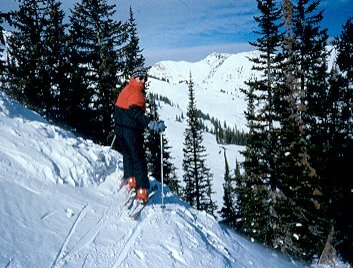 While Skiing in Colorado it is not unusual to come across the remnants of mining operations, here I am looking out over such an area. 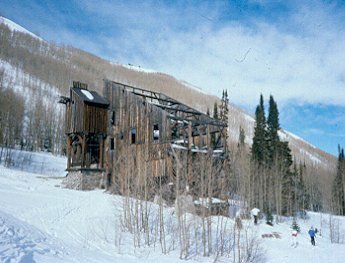 Old mine buildings next to a Colorado ski area. 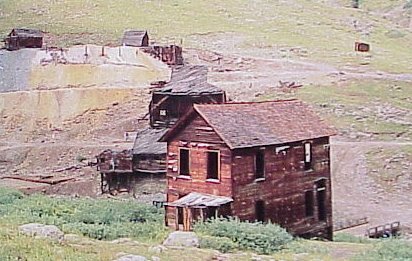 More mining ruins adjacent to a Colorado ski area. Alley Belle Mine near Romley, Colorado. 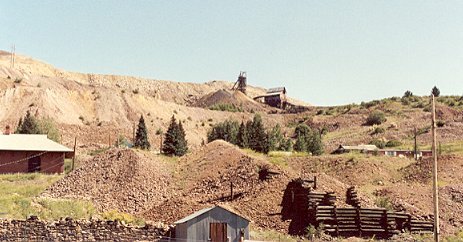 Mine remnants at Alice, Colorado. Ore bins at mine site near Alice, Colorado. 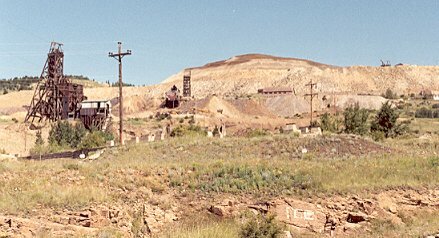 Terminus of the tram for the Little Nation Mine at Howardsville, Colorado. 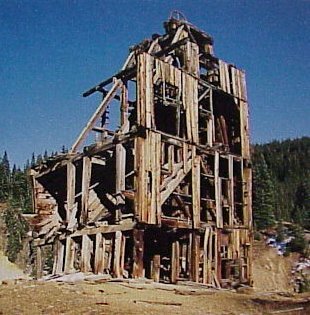 National Belle Mine headframe at Red Mountain, Colorado. 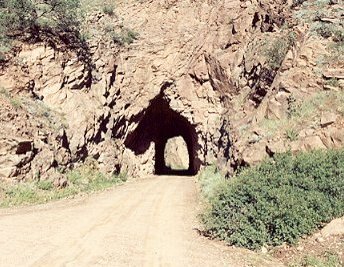 Tunnel on Phantom Canyon Highway (some highway, it's a dirt road), the scenic route into Cripple Creek, Colorado. 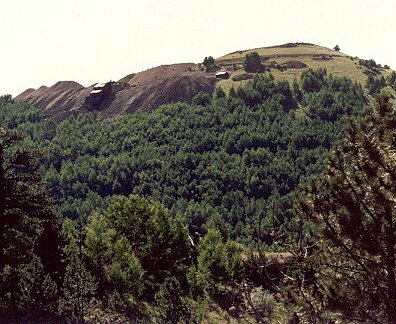 Mines on Battle Mountain at Victor, Colorado.. 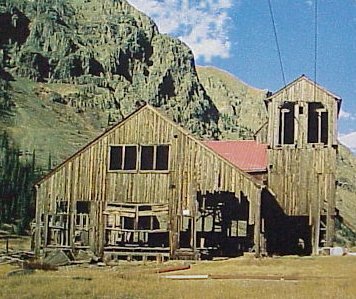 Independence Mine (left) on Battle Mountain Victor, Colorado. 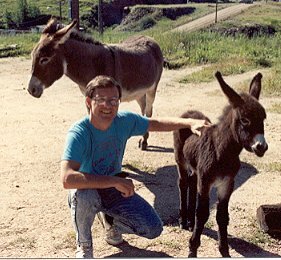 Me with the descendants of prospectors' burros that wander the town of Victor, Colorado today. 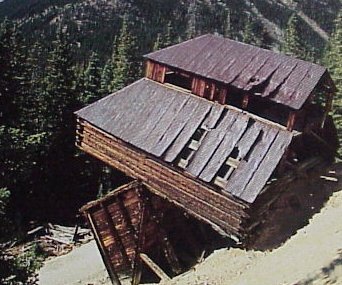 An unidentified mountainside mine in Colorado. 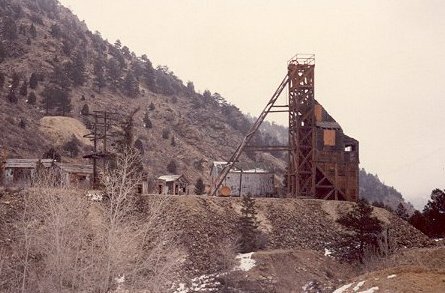 Stanley Mine near Idaho Springs, Colorado. 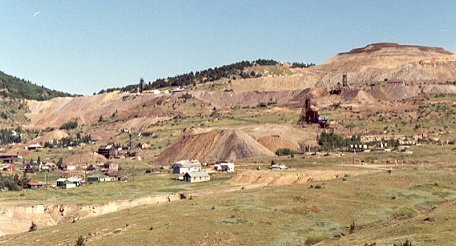 Mine dump near Georgetown, Colorado. Five head stamp at a mine site in Colorado. 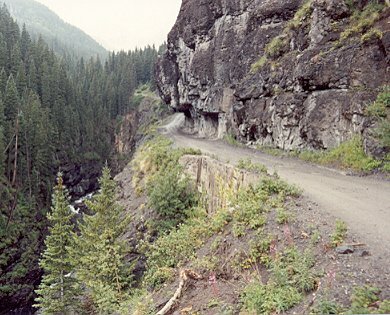 Yankee Boy Basin Road near Ouray, Colorado. 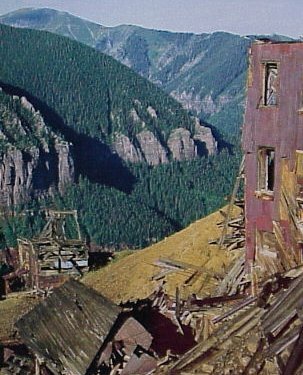 Atlas Stamp Mill near Ouray, Colorado. 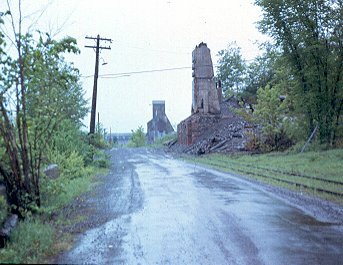 Ruins of the Atlas Stamp Mill. 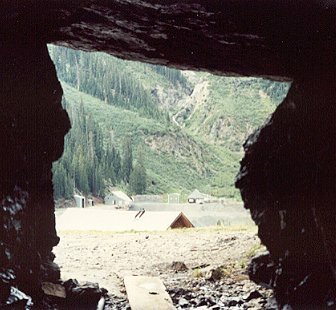 Looking out of a mine above Ouray, Colorado. 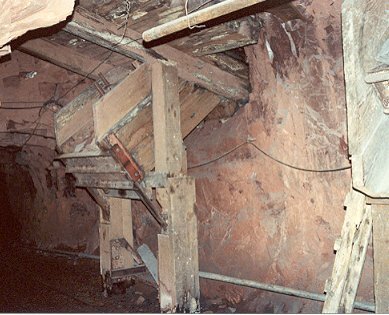 Ore chute underground in an abandoned Colorado mine. 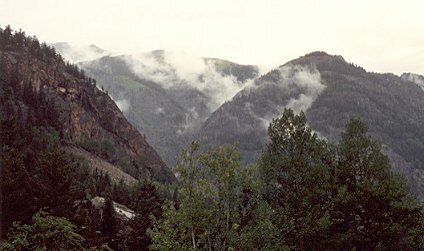 Governor's Pass above Ouray, Colorado. 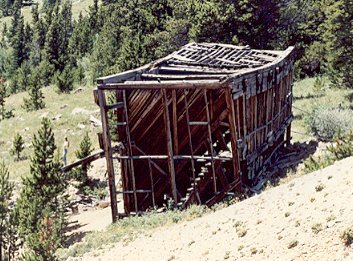 Smuggler-Union tram house near the Tomboy Mine, used to lower ore to the Smuggler-Union Mill below. 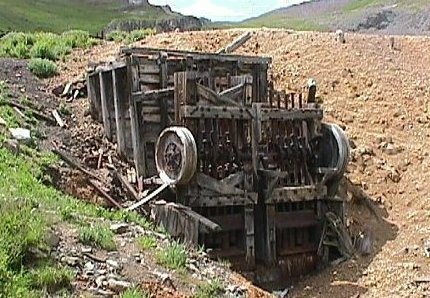 Remains of a 10 stamp mill in Maggie Gulch, Colorado. 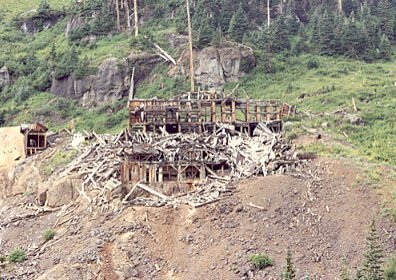 Mountain Top Mine Governor Basin, Colorado. Unidentifed mine remains near Boulder, Colorado. 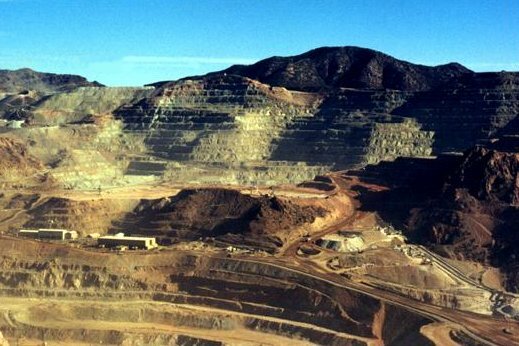 Monte Christo Mine at Constellation Camp, Arizona. 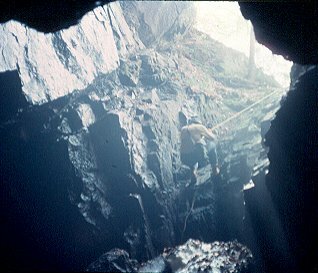 Looking down the shaft of the Monte Christo Mine. 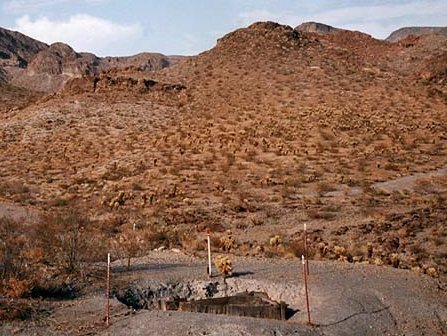 Open mine shaft in the Black Mountains of Arizona. 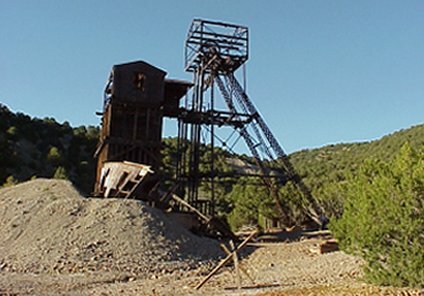 Morenci Mine at Clifton, Arizona. 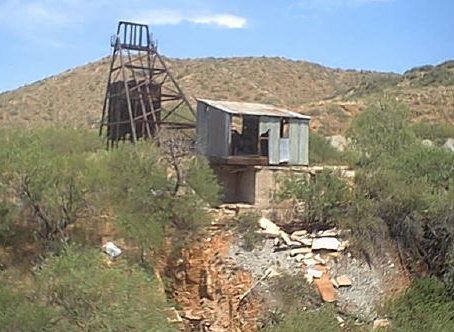 Unidentified mine ruins at Gleeson, Arizona. 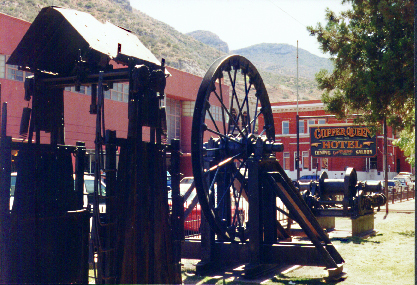 Old mining equipment displayed in Bisbee, Arizona. Two seat "potty" car Bisbee, Arizona. 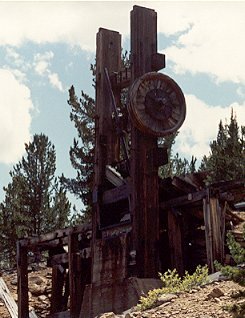 Shaft at the Gilbert Mine in Nevada. Not the way to go underground, where's the hardhat and two sources of light? Heading out with our arms full after finding some copper and silver specimens, as well as a few rusty iron artifacts.